As we've all seen in the news bees are under threat from a loss of habitat and certain pesticides. 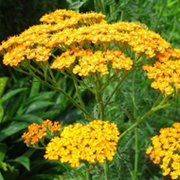 We can help to reverse their decline by planting their favourite plants in our gardens. According to a study by Sussex University the best plants can attract up to 100 times as many insects as the worst ones. Choose carefully and you can have a fragrant and colourful garden full of the busy buzzing of our all important bees. 1, 2 & 3) Lavender, achillea and dahlias, such as the happy single, collarette and bishop varieties, are attractive to bumble bees because of their open, flat and easily accessible flowers. 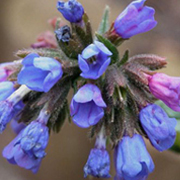 4) Pulmonaria are particularly popular with the wonderfully named hairy-footed flower bee. 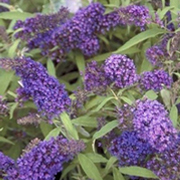 5) Buddleja is also, rather tellingly, known as the butterfly bush, is a magnet for butterflies because of its sucrose rich nectar. 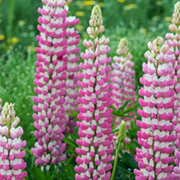 6 & 7) Lupins and penstemon have tubular flowers that are a favourite feeding place for the long tongued bumble bee. 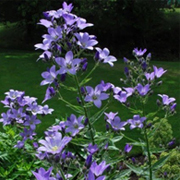 8) Campanula are a fabulous complement for your spring bulbs providing an early source of food for pollinators. 9) Bees and butterflies can enjoy the lovely helenium for an extended period as they flower all summer. Their seed heads are also very attractive for birds in winter so don't clear them out too quickly. 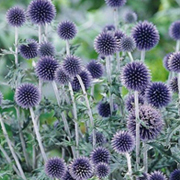 10) Globe Thistles (echinops) complement your lavender, penstemon and buddleja to provide a late summer feast. While you're busy making your garden pollinator friendly remember there are plenty of plants that act as deterrents to these industrious creatures. 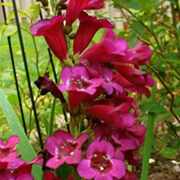 Rhododendrons, azaleas, trumpet flower "Angels Trumpet", oleanders, yellow jessamine, mountain laurel, heliconia, bog rosemary and amaryllis (grow these fantastic flowers inside only) have been found to be toxic for bees. Consider planting them some way away from your new found bee magnets.